Rudolph. Santa. The elves. The lights. The tree. The toys. The songs. One popular song touts it as being ‘the most wonderful time of the year’. Yes, obviously I’m talking about Christmas. As a child all these things and more, were a staple around my house. And all those cartoons! I can still remember them all! And ‘The Yule Log’! Just sitting and watching that fire burn as the music played, or just having it on in the background as you moved around the house. I enjoyed it all so much! As a child growing up, I knew nothing about Jesus. I remember going to church on Easter a couple of times, but that’s about it. When I got saved at the age of fifteen, everything changed. Christmas took on a whole new meaning. Now I really understood what Linus was talking about at the end of ‘A Charlie Brown Christmas.’ I learned what a manger was from that song and I found out that the three wise men may not have been just three after all. And now, on a more serious note, I began to celebrate the birth of Christ. Call me naive (though I don’t think I am), but up until several years back, I thought all Christians celebrated Christmas in one way or another. I was surprised to find out that this is not the case. 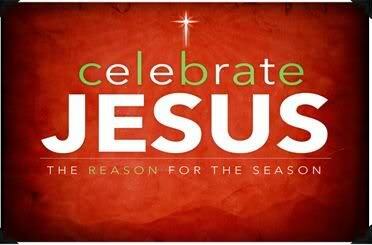 The reasons many Christians don’t celebrate it varies. They range from ‘It’s not in the bible’, and, ‘Jesus never told us to do it’, to ‘Christmas is a pagan holiday,’ and ‘Jesus wasn’t born on December 25th.’Allow me to briefly address each; not so much theologically (though I will use scripture), but from a more practical standpoint. So, is Christmas in the bible? I think it depends on what you mean. Will you find any of the trappings and traditions the world embraces there? No. Will you find the word ‘Christmas’ there? No. What you will find is the birth of Jesus Christ, including the events that led up to that magnificent event. The Holy Spirit through the writers go to great lengths to describe and capture the mood of the times, along with the various people groups involved. Mary and Joseph. Herod the King. The shepherds. They all played their part in this wondrous story. His birth matters. Isn’t this event worthy of all this, seeing that it centers around our Saviour, Jesus? The wise men thought so. They came a great distance to do so. They unabashedly proclaimed to Herod, ‘…for we have seen His star in the east, and are come to worship Him’ (Lu.2:2). We read further that when they saw the star that they followed, standing over where young Jesus was, they responded by rejoicing with exceeding great joy (Mat.2:10). This means that they were absolutely enthralled beyond measure over what had taken place! Is this not cause for celebration? The shepherds were also a part of this story. Their response to seeing the baby Jesus was also one of celebration. We read in Lu.2:20: ‘And the shepherds returned, glorifying and praising God for all the things that they had seen, as it was told unto them.’ The glorifying and praising that I’ve been exposed to in my Christian walk, has always been indicative of celebrating. If the angels, who wish to look into these things, because they have no understanding of salvation and its implications (1Pe.1:12), can honor Him in this way, based on His mere presence, ladies and gentlemen I believe I ought to honor, praise, worship and celebrate the fact of His coming! I am a recipient of the results of His grace! As to Christmas being a pagan holiday, I am very well aware of this argument. I will not take the time to go into detail, but whatever the reasons those involved did what they did, it has nothing to do with me now. I know many don’t see it this way. I am not guilty of trying to take something evil, wrap it up in good, and make it alright. I believe the birth of Christ ought to be celebrated; along with His life, His death, and His resurrection. I know I won’t change anyone’s thinking on the matter, and that’s not my purpose, but if we could all take into account that these are things that we should remember daily, not just a couple of days out of the year, and that He is so worthy of it all! Even if your mind revolts against the word ‘Christmas’, celebrate Him. Of course we know Jesus was not born on December 25th (shepherds would not be out in the field with their sheep on a winter night), but if I choose to honor Him on this day, or any other day or days for that matter, I do not believe my Lord takes me to task for this. Let no man therefore judge you in meat, or in drink, or in respect of an holyday, or of the new moon, or of the sabbath days: (Col.2:16). Each year around this time, we hear the usual rants from various churches, and individuals, warning us about the ‘evils’ of Christmas. We know the history. Ad nauseam. What I want to know is, what do you do with His birth then? Ignore it? Downplay it? Treat it with scorn? Tell people they are sinning if they acknowledge it? No tree. Fine. Away with Santa (after all, Santa is ‘Satan’ spelled sideways, sort of, right?). No problem. And don’t get caught up in all of the commercialization. Good job. But–do not forget Jesus. I know folk praise and worship Him ferociously for this and that, jumping, shouting and the like and rightfully so, but you cannot then turn a deaf ear and a blind eye to the greatest miracle we’ve ever known; that is, the Incarnation. Our very salvation was made possible because of it. Unfortunately, folk get so caught up in keeping the letter of the law, that they step over the spirit of the law. Celebrate Jesus! In the final analysis, you can forget the fact Christmas means nothing more than a few days off from work for some, or an opportunity to embarrass oneself at the annual office party. That’s the world. I stand for Jesus. If He did not come, I would not be here; or else I would be here with no hope. Thanks be unto God for his unspeakable gift. (2 Cor.9:15) That’s Jesus. Praise Him! That made Him leave His glorious throne and crown. The one who made the earth, the sky and sea. Who put the stars in every galaxy! What condescension, Oh how can it be! What shame He suffered oh what agony! What grace is this! What grace is this!